At the grocery store the other day I saw a great example of how not to criticize someone. I have no idea what started it, but when I walked by the “Customer Service” desk an angry woman was berating the employee there: “You don’t have the right personality to work in customer service!” she said. The employee shrugged and mumbled something to the effect that she was trying her best. There wasn’t much she could say. How can you effectively respond to a stranger who criticizes your personality? The incident made me think about the correct (and incorrect) ways to offer constructive criticism. What was wrong with the customer’s actions? She offered criticism when she was angry, in public, about someone’s “personality” (rather than say, about some specific actions), seemingly without any consideration for feelings or the impact that her words might have. There are better ways to criticize, and a lot has been written on this topic. I’ll keep this to a few suggestions. Reflect on why you want to offer criticism. There are many reasons to offer constructive criticism. It might be part of your job description to offer critical feedback to others. You might have a genuine impulse to help a friend who could benefit from the advice. But the desire to criticize can also have a dark side, and taking a few moments to examine your own motives is a good idea. Are you angry or upset with the person you are thinking of addressing? Are your comments intended to be wounding? Does criticizing others make you feel better about yourself? Be transparent about your intentions. What is the purpose of your criticism? Is it part of a routine performance review? Is it a response to a request for feedback? Do you want to help the other person achieve some goal? Are you trying to get him or her to change some specific behaviour? Share the reasons for your criticism with its recipient. Your remarks should not come “out of the blue.” Constructive criticism is easier to take if it is put in a larger context. Be nice. Focus completely on the other person. Although some people have had more practice than others at receiving critical feedback, I don’t think that anyone ever looks forward to it. Be as tactful as you can. Focus on the other person and stay in the moment. Attending fully to others is a way of showing respect, and this is especially crucial if your message is likely to be unwelcome. Keep it positive. When you give specific advice, make your suggestion positive. If possible, focus on the actions that the person should do, rather than what he or she should refrain from doing. For example, say you have single male friend who goes on a lot of first dates …. but not many second dates. He asks for your advice, and you’re pretty sure that his tendency to speak at great length when given the opportunity is part of the problem. Rather than telling him to talk less, advise him to listen more. It is easier to initiate a new habit than it is to monitor and curtail an old one. Start and end with a compliment. (Sometimes called, “Hug them in and hug them out.”) This is especially important if you are giving criticism as part of an official role, say as a manager, coach or teacher. 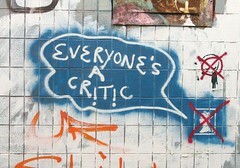 Find something nice to say about the person you are about to criticize. Begin by complimenting him or her. (Again, try to make the compliment about specific actions or behaviour; not about general characteristics.) Then deliver the criticism as tactfully as you can. Finally, repeat the compliment (or offer a different one) before ending the encounter. Make sure that your compliments are sincere. The other person will recognize it if they are not. Next post: How to respond to criticism.